Canada’s longest-running, most successful commercial fishing show will return to the Yarmouth Mariners Centre January 25-26, 2019. 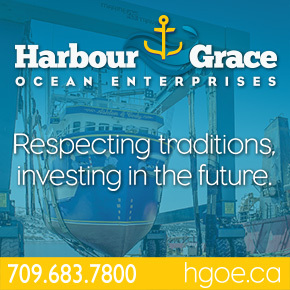 The Eastern Canadian Fisheries Exposition is held every two years in southwestern Nova Scotia and offers visitors a comprehensive showcase of products and services for the commercial fisheries industry. The show is presented in partnership with the Navigator Magazine, the Voice of Atlantic Canada’s Fishing Industry. The event attracts visitors from throughout the Maritimes, across the country, and the eastern United States. At its last edition in 2017, attendance numbers soared to 4,726 – the highest in more than a decade. Visitors to this key biennial event include fish harvesters, fish processors, those involved in the workboat industry, search and rescue organizations and other professions relating to the marine industries. The Eastern Canadian Fisheries Exposition is part of a portfolio of marine trade events in Atlantic Canada produced by Master Promotions Ltd. Other related events include the North Atlantic Fish & Workboat Show and Fish Canada Workboat Canada, held in St. John’s, NL and Moncton, NB respectively. The 2019 show website is now live at www.ECFX.ca. Companies interested in exhibiting at the show are invited to visit the show website for information on booth package and pricing options. Again in 2019, deserving individuals who have made valuable contributions to the marine industry will be inducted into the Atlantic Canada Marine Industries Hall of Fame. Additionally, a networking reception will take place in conjunction with the show. For up-to-the-minute information on the event, stay tuned to the website as well as the show’s Facebook and Twitter pages. Friday, January 25 from 10 a.m – 5 p.m.
Saturday, January 26 from 10 a.m.- 4 p.m.
Mariners Centre, 45 Jody Shelley Drive, Yarmouth, N.S. No Replies to "Eastern Canadian Fisheries Exposition Returns to Yarmouth for 2019"